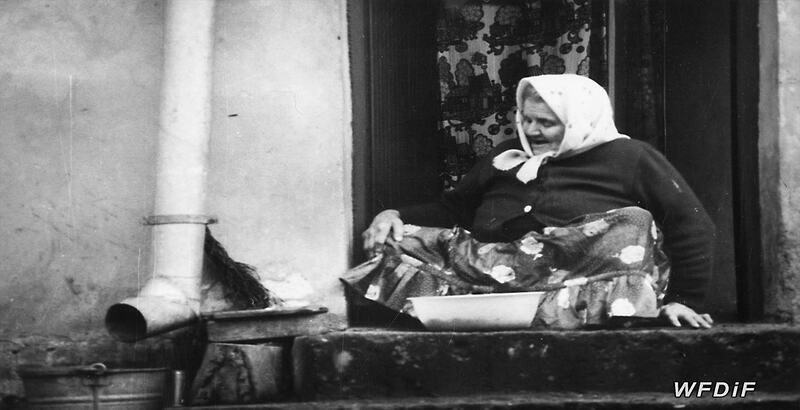 An old woman sits on her doorstep and hand washes a scarf. Her movements are slow. Her hands are as wrinkled as those of her neighbours who hang out their washing. The camera zooms out to reveal a few dilapidated buildings. Muddy roads, bare tree branches, shabby roofs and walls that have seen better days. 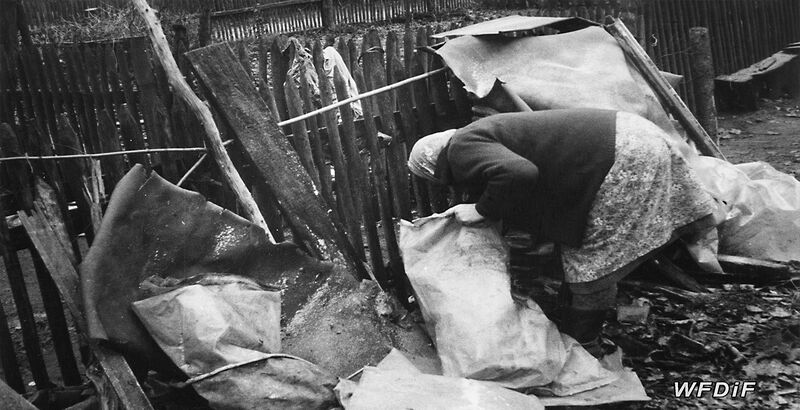 As her last documentary journey, Gryczełowska’s arrived at the Village of Peaceful Old Age. Under the grey sky, the elderly meet around the well—the only source of water for the village and the centre of their community. 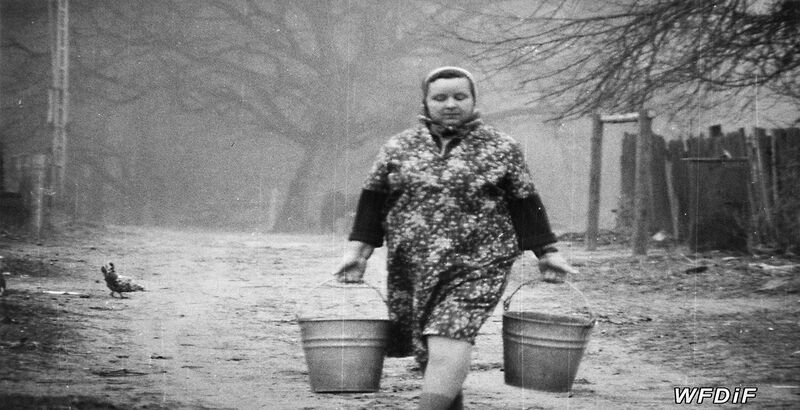 The camera patiently watches older women wading through the mud with full buckets. We see the women living in the village talking to the camera when, much to the viewer’s surprise, the gloomy atmosphere of the film’s opening turns out to be misleading. Although living on their own, a few of them confirm that they feel happy. They appreciate the comfort of their houses and the free time they have for the first time in their lives. Compared to the busy days of their youth, their lives now are full of the peace and quiet for which they always longed. These elderly women and men, whom the government relocated to this senior only village and who gave up their farms for a state pension, miss their families, but few complain. They have carers and nurses helping out; there is a local grocery shop, and the bus stops just around the corner. A shopkeeper and a nurse confirm that the village is a peaceful refuge, a place where the seniors feel comfortable and free from any obligations, often content in the company of neighbours their own age. 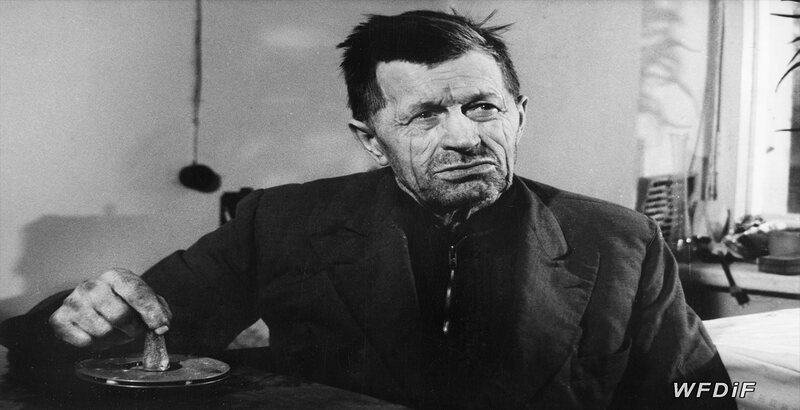 In the second half of the film, Gryczełowska’s interviewees seem less optimistic than those from the beginning. Some feel neglected by their families or afraid to die alone. In the end, the camera shows a few of them around the well, then cuts to distant shots of the village, where untended old houses are tucked in fog, mirroring the start of the film. The somewhat ambiguous message of the film illustrates that the experience of growing old, like any other stage in one’s life, is a matter of perception. As the saying goes: ‘one man’s trash is another man’s treasure’. Some of these people see their existence in the village as austere and lonely, others enjoy their peace and independence. The Well is available on DVD with English subtitles.